Dr. Amit Jethva was born in Chicago and moved to Houston when he was three years old. Dr. Jethva earned his undergraduate degree from Texas A&M University in College Station and his Doctor of Dental Surgery degree from The University of Texas Health Science Center at San Antonio in 2001. He moved to Pearland shortly after graduating dental school and opened Cosmetic and Family Dentistry in October of 2003. Dr. Jethva believes in treating his patients with respect and listening to their dental needs before recommending any treatment. He is committed to providing state of the art dentistry without causing pain. He takes many advanced courses each year to enhance his skills to serve the dental care needs of his patients better and provide them with a gentle and comfortable dental experience. When he is not caring for patients, Dr. Jethva loves spending time with his wife, Gabrielle, their children, Bella, Leeya, and Priya, and their Maltese, Sofia. 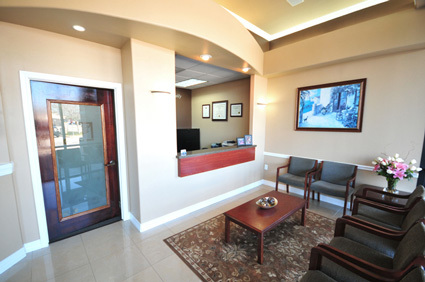 Cosmetic and Family Dentistry was opened in 2003 by Dr. Amit Jethva. Conveniently located outside the Silverlake neighborhood in the Randall's shopping center, our address is 10228 Broadway Street, Unit 132 in Pearland, Texas.